If you're like me, you've probably left a lipstick in a hot car, or in a clothes pocket which later ended up in the dryer, melted away! 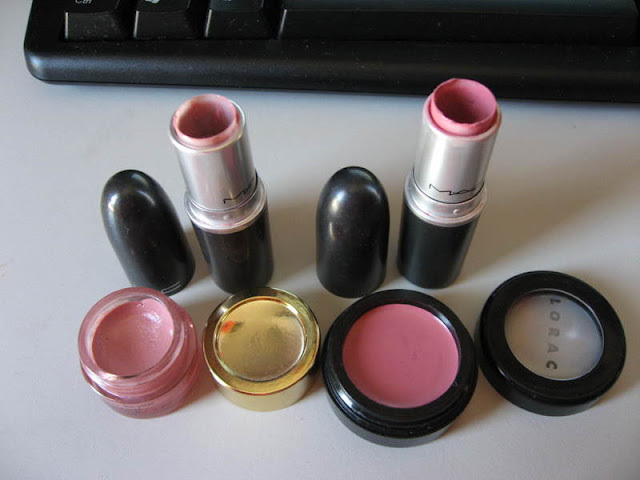 Maybe you've applied your favorite lipstick so much that it's on it's last, and you keep digging at it! So who knew this could be done? 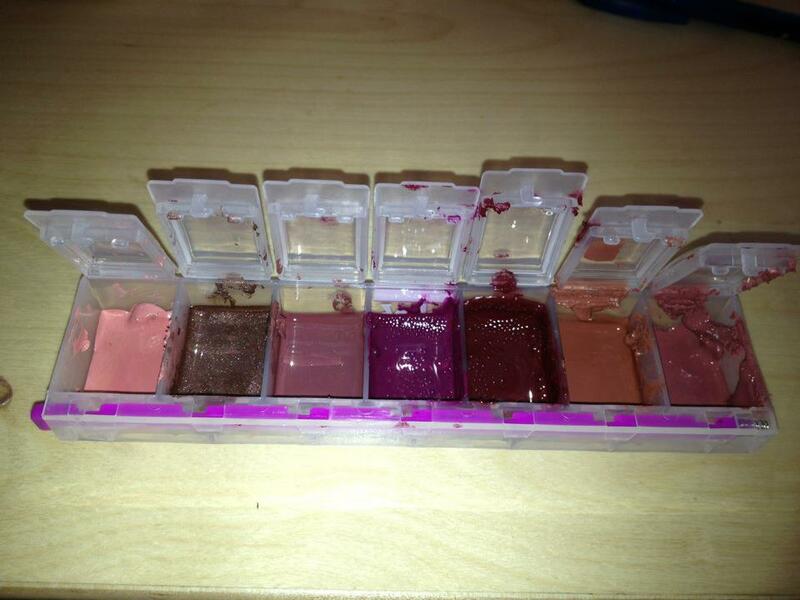 Just the idea of making my own lipstick palette allows me to get rid of almost empty lipstick tubes. Just think of the new colors to be made by mixing a few lipstick shades! How practical for traveling too! ... 'Though this palette is messy. I like how this plastic palette was used.